The world had scant months to collectively sigh in relief before a new conflict threatened. Unlike the titanic struggles of the preceding decades, this conflict would be waged not primarily by soldiers and tanks, but by spies and politicians, scientists and intellectuals, artists and traitors. 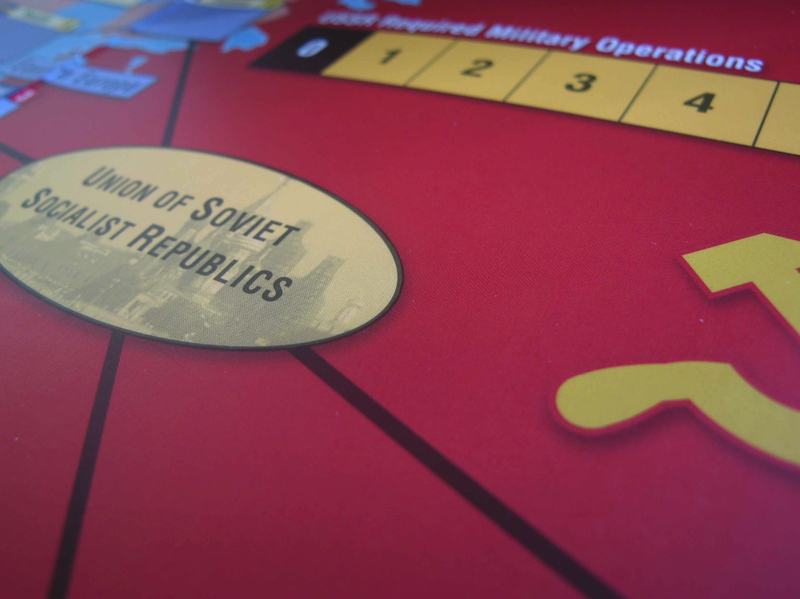 Twilight Struggle is a two-player game simulating the 45 year dance of intrigue, prestige, and occasional flares of warfare between the USSR and the USA. The entire world is the stage on which these two titans fight. The game begins amidst the ruins of Europe as the two new superpowers scramble over the wreckage of WWII, and ends in 1989, when only the United States remained standing.